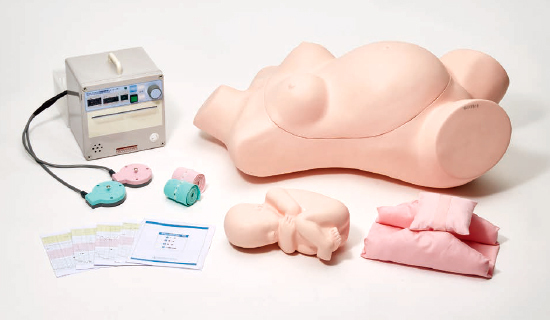 ＊ The Sakamoto cardiotocograph simulator 2 can be used for nurse and midwife training. 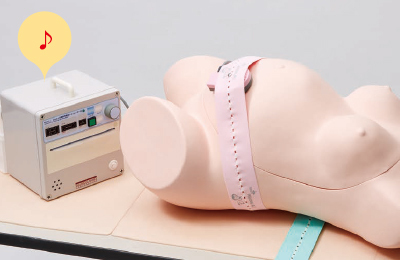 Please note that the simulator does not provide a written or audio record of the heart rate. 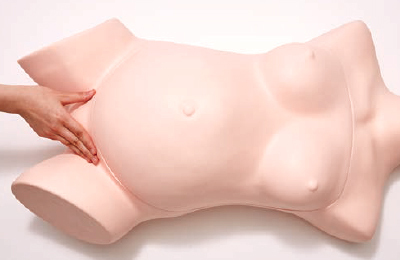 Practical measurements can be carried out on the body which resembles the 39th week of pregnancy. 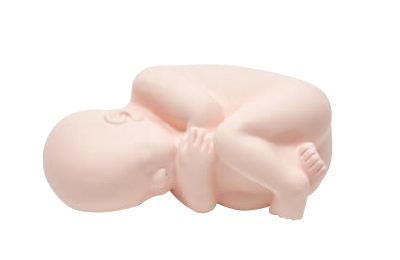 The abdomen is soft so that training in palpation of the fetus is possible.The accessory fetus for palpation has a built-in skull and pelvis. The baby is at 10 months. 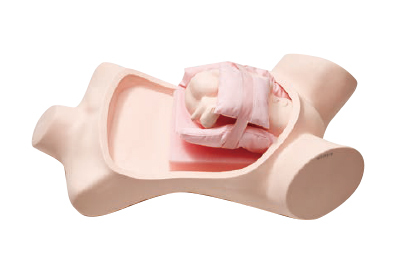 Four different presentation positions can be used for training. 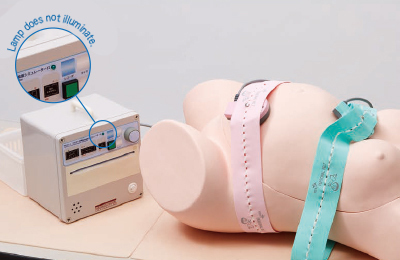 Practice can be carried out for securing the Doppler transducer and labor pain transducer belts. You can look at the box to check if the belts are attached correctly. 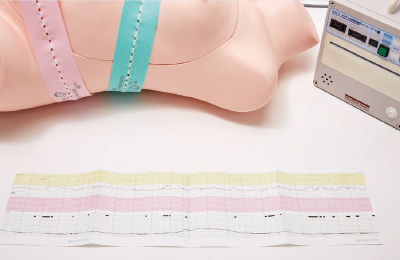 When the Doppler transducer is secured correctly, the heartbeat can be heard from the box. 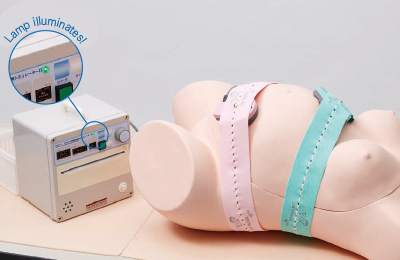 When the labor transducer is secured correctly, the lamp on the box illuminates. 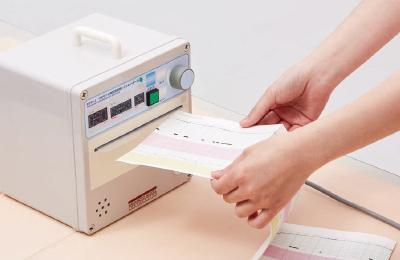 When the Doppler transducer is not secured correctly, no heartbeat can be heard from the box. 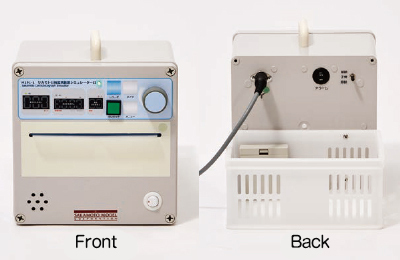 When the labor transducer is not secured correctly, the lamp on the box does not illuminate. 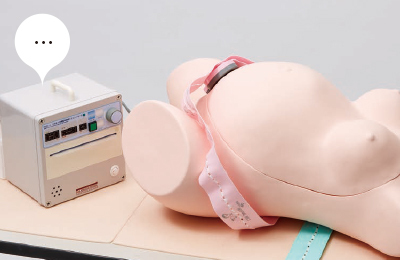 Practice listening to the fetal heartbeat at 4 points (No.1breech presentation, No.2 breech presentation, No.1 occiput presentation and No.2 occiput presentation). 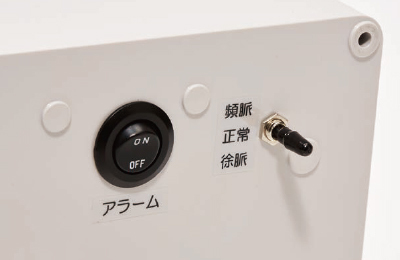 The heartbeat can be heard coming from the special box, and there are switches at the back for setting the heartrate and alarm. The setting can be changed at a single touch to normal (120BPM), tachycardiac (>180 BPM) or bradycardiac (<110 BPM) heart rate. The alarm switch is set to ON,the alarm sounds when the Doppler transducer is incorrectly attached. 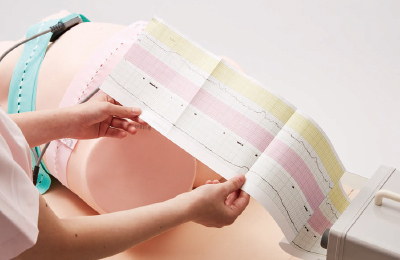 Four types of wave pattern (normal, tachycardiac, bradycardiac or transient bradycardiac) can be practised. The recording paper can be inserted into the special box. The size of the recording paper is 15 cm x 60 cm.